New BRUTE!/ War Effort decks in Stock! My good buddies from War Effort have sent me the Series 2 BRUTE! 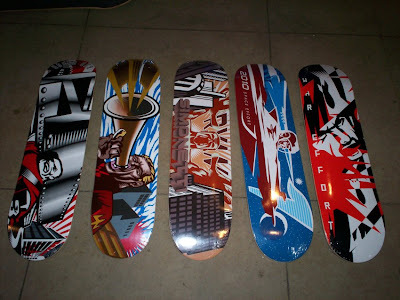 decks and they look awesome! They retail for 50 euros (plus shipping & handling). Each deck will be personally signed by yours truly. Book yours today as they are a very limited edition. 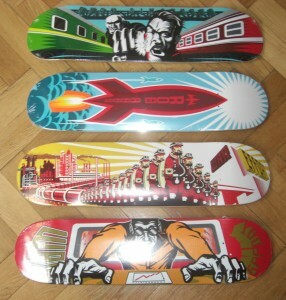 Both series of the BRUTE!/War Effort skate decks are now available for 50 euros each (signed by the artist). Please contact me at bruteprop@gmail.com for payment and shipping details. 3 x rejected rough designs for a forthcoming BRUTE! deck series. 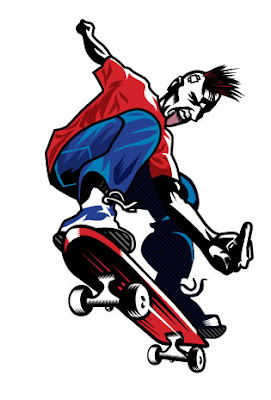 Seem to be getting a lot of work from the skateboard community these days.